The idea of making a dessert in a Crock Pot was intriguing, so I had to try this. 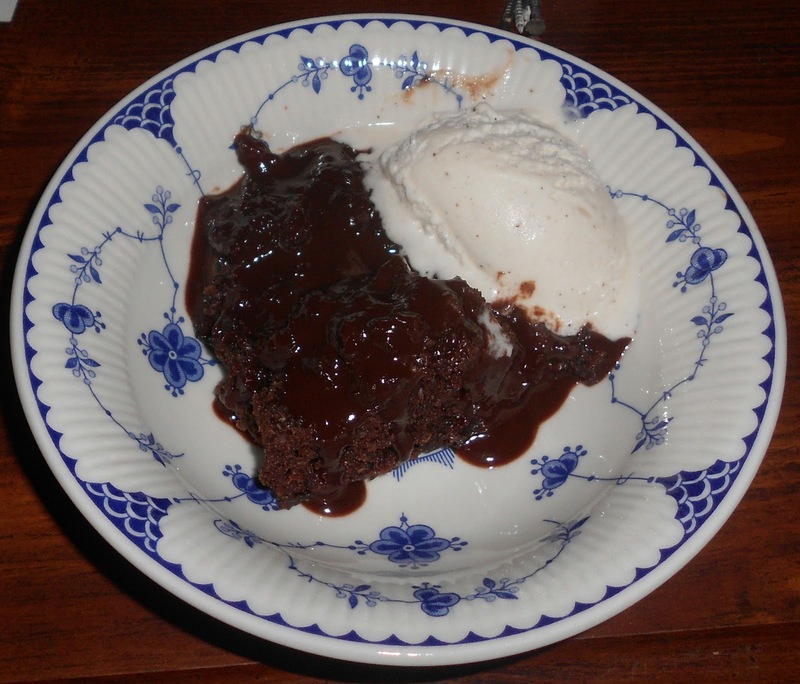 Chocolate cake with a fudgey sauce, served warm with vanilla ice cream...oh, yes! This cake is not overly sweet, but is perfect with coffee for a breakfast treat. Whisk together first 4 ingredients in a large bowl. Mix flour and next 3 ingredients in another bowl. Stir flour mixture into egg mixture just until dry ingredients are moistened. Toss 1 1/2 cups blueberries in 1 Tbsp. flour; fold into batter. Pour into a lightly greased 9-inch cake pan. Sprinkle with sugar, chopped walnuts, and cinnamon. Bake at 400° for 25 to 30 minutes or until a wooden pick inserted in center comes out clean. Remove from pan onto plate to serve, or onto wire rack to cool completely.